Where else can you meet, talk and dine with amazing musicians who have worked with Spike Lee? Duke Ellington once said, ‘Music is my Mistress’. 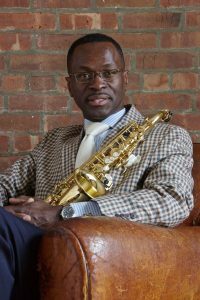 If you ask Mark’s wife of 26 years, Shirell Gross, Esq., or his 2 sons, Mark Jr. and Caleb, they would respond, ‘We know what Ellington means.’ A dedicated, accomplished jazz saxophonist with a solid academic background in music, Gross acknowledges the powerful influence of Gospel music that resounded through his parents’ Baltimore home on his own unique sound. For over 30 years, he has toured internationally with such world class jazz groups as The Duke Ellington Orchestra, The Dizzy Gillespie All Star Big Band, Jimmy Heath, Delfeayo Marsalis Quintet, his own The Mark Gross Quintet, performed at jazz festivals throughout Europe, and held master classes at major universities. Gross has performed on Broadway, television, and in major movies including Spike Lee’s Malcolm X and Jamie Foxx’s remake of Annie. Featured on over 100 jazz recordings, including two that won Grammy Awards, Gross has recorded 4 CD’s as a leader: Preach Daddy (King Records, 1997), Riddle of the Sphinx (J Curve Records, 2001), Blackside (Jazz Legacy Productions Records 2012), and Mark Gross with Strings (on his own label MGQ Records, 2018). Gross holds a B.M. (Music Performance) from Berklee College of Music. The man who brought the radio and Public Enemy to Def Jam and worked with Spike Lee and Chris Rock to put music in their movies, Stephney was prominent in 1980s and early ’90s hip-hop. Originally a multi-instrumentalist musician, he switched to deejaying in the late ’70s. His pioneering hip-hop column and connection to fellow college student Chuck D led to a job at Def Jam Records. There, he signed Chuck D to head the first political rap group, Public Enemy, whose first album he produced (and on which he also played guitar and bass). Now the principal executive for Broad Market Media, a production/strategic consulting firm, Stephney is also creator and executive producer of the ESPN New York sports business networking event, Changing The Game. Previously chief executive for Def Jam Recordings, SOUL Records and Stepsun Music, he has produced artists from Rock ‘n Roll Hall of Fame inductees Public Enemy to singer-actress Vanessa Williams and supervised music production for such films as Boomerang, Be Be’s Kids, and Shaft. 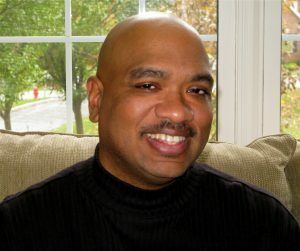 Currently a producer/curator for NJPAC, Stephney is also a federally-appointed chairman and member of the United States Commission on Civil Rights – New Jersey Special Advisory Committee (2008 – present) and a husband, dad and lacrosse/Little League/basketball coach in Morris County.